Are you looking for the best WordPress ad management plugins? Adding advertisements is one of the most common ways to monetize a website. With the right ad management plugin, you can properly manage your WordPress ads and boost your revenue. 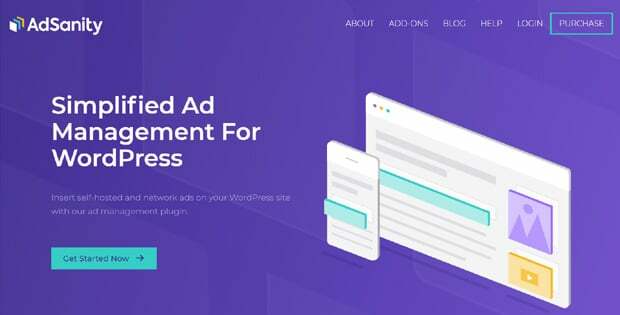 In this article, we’ll share the 5 best ad management plugins for WordPress so you can optimize your earnings from advertisements. If you’re looking for an easy way to earn money through your site, adding adverts is a cool option. Many WordPress themes nowadays are advertisement-ready; however, they lack proper ad management features. That’s where an ad management plugin comes handy. For an instance, if you want to add Google AdSense ads in WordPress, you can use a Custom HTML widget in WordPress. This method is simple, but you cannot place ads on areas other than your theme’s widget-ready areas. An ad management plugin helps you insert ads anywhere on your site. Plus, ad management plugins allow you to add both direct ads and AdSense ads on your site. You can start rotating and scheduling your ads to automate their displays. This helps you save plenty of time for more important tasks. In a nutshell, ad management plugins help you create better ads, manage the ads properly, and increase your earnings. Now, let’s go ahead and check out the best ad management plugins for WordPress. AdSanity is the best WordPress ad management plugin available on the market. It’s a simple and easy-to-use plugin with powerful options to fully control and manage your WordPress ads. Using AdSanity, you can insert self-hosted direct ads as well as network ads like Google AdSense on your WordPress site easily. Not to mention, you can place your ads anywhere on your site using widgets, shortcodes, or template tags. The plugin also allows you to group ads based on categories, run a single ad or ad group, and schedule ads on your WordPress site. The plugin is extensible with a set of cool addons ready for use. If you need an extra feature, you can always look up to the available addons. AdRotate allows you to easily create ads and ad groups and add them to your WordPress site. You can insert ads into your WordPress posts using shortcodes and into the sidebars using widgets. The plugin offers a simple interface to create and manage ads. It’s designed to match the WordPress dashboard interface, so you can easily get familiar with it. It supports both custom-made ads and ads from servers like Media.net and Google AdSense. The AdRotate plugin is available in both free and premium versions. If you want advanced features like geo-targeting, Adblock disguise, mobile adverts, and media/ asset management, you’ll need to install the pro version of the plugin. Get started with AdRotate today! Insert Post Ads allows you to automatically insert Google AdSense or any network ads into your blog posts. Displaying ads in your blog articles helps to increase click-through rates (CTRs) and boost your earnings. With Insert Post Ads plugin, you can automatically display ads before content, after post content, or after a specified number of paragraphs. Therefore, you don’t need to manually insert ads into every piece of content. You can add the ads to your WordPress posts, pages, and custom post types. The plugin is simple and easy-to-use. Anyone can quickly set up the plugin and start adding advertisements. It supports Google AdSense or any advertising codes. Get started with Insert Post Ads today! OIO Publisher is great for small businesses who want to sell ad spots directly to advertisers. It allows you to create ad spots on different locations on your site with Advertise here default text where advertisers can click to buy the spot. After the advertisers click on the banner, they’ll be taken to the sales page. From there, they can create an ad, pay for the ad spot, and display their ad. The advertisers can choose how long a period they want to show the ad. This’ll eliminate a middleman’s involvement in displaying ads on your site. The plugin handles payments for you and advertisers. It also sends daily advertisement reports to the advertisers that include the number of clicks, impressions, CTR, etc. Get started with OIO Publisher today! Ad Inserter is a feature-rich plugin with plenty of options to create ads and insert into your WordPress site. It supports all types of ads including Google AdSense, Amazon Native Shopping Ads, Media.net ads, and rotating banner ads. The plugin allows you to display ads in multiple locations on your site like before or after a post, before or after a paragraph, before or after comments, before or after a post excerpt, etc. Once configured, the plugin automatically inserts ads into posts and pages; however, you can disable automatic insertion anytime. You can find this plugin both in free and premium licenses. The free version is decent with a set of useful features, but you’ll probably want to upgrade your license for more advanced options. Get started with Ad Inserter today! WordPress ad management plugins provide you with cool options to manage your ads; however, most of them fail to provide proper tracking features. So, we recommend you use the MonsterInsights plugin for ads tracking. By tracking the performance of your ads, you can learn exactly how your site’s visitors interact with your ads and then optimize your ads for more revenue. MonsterInsights is the most powerful Google Analytics plugin for WordPress. It helps you to track your website’s audience and their behaviors on your site using Google Analytics. The plugin comes with a powerful Ads Tracking addon to let you track the performance of your AdSense ads properly. 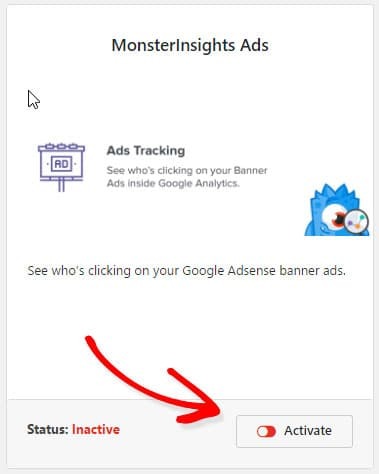 With MonsterInsights’ ads tracking, you can track click-through rates to see how many clicks each banner ad is receiving. Then, you can identify the most popular ads on your site as well as the worst performing ones. You can delete the less popular ads or replace them with more relevant ads. This helps to improve CTR and boost your revenue. To get started, you’ll need to install MonsterInsights and set it up in your WordPress site. Then, you’ll need to install the Ads Tracking addon and enable Google AdSense tracking. For detailed instructions, check out our step-by-step guide on how to track AdSense in Google Analytics. We hope this article helped you to find the best ad management plugins for WordPress. You may also like to read our post on the highest earning Google AdSense ad placements.